// CARRERS. At ALO you will be immersed into an interdisciplinary, dynamic environment and you will be highly stimulated to expand your intellectual and technical skills. 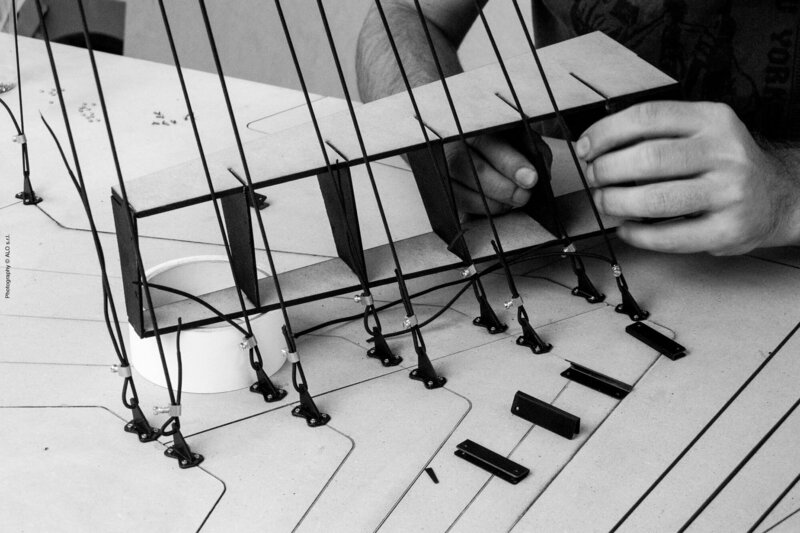 Team members focus on manifold aspects of our projects, from design to digital fabrication, combining digital and hands-on skills. Therefore, candidates are selected aiming at the most interdisciplinary, intellectually dynamic, professional and hard working group. + INTERNSHIPS: If you would like to apply for an internship, submit your CV, Portfolio and motivation letter at: info[at]alo-architettura.com . Portfolios including academic material must include course and instructors credits. ALO is currently looking for 1 highly motivated intern. The positions is open for architects or engineers to work 5 days a week.